The Hammond Museum of Radio has acquired a number of photos that we believe were taken at WBZ Boston or WBZA Springfield MA. 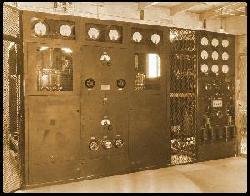 To provide extended coverage, Westinghouse experimented with, and succeeded in 1926 of simulcasting two transmitter sites on the same frequency. All photos are click able to allow full screen viewing. use your BACK button to return here. The US Dept Of Commerce accepted the notion of a "new" service, and one of the first three licenses issued specifically for "broadcasting" on the new 360 meter frequency went to WBZ, in East Springfield, MA. 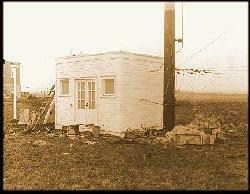 WBZ did indeed begin transmissions on the specially designated 360 meter frequency on September 19, 1921. Operating at 100 watts, WBZ broadcast its opening programs from the Eastern States Exposition in West Springfield, one of the earliest "remote" broadcasts in history. 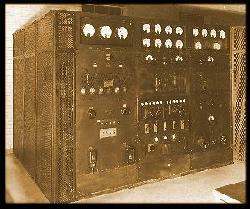 Over the next two and a half years, power increases brought WBZ up to 15,000 watts. Of course, although Springfield was the site of the Westinghouse plant, it was not exactly a major city. Attracting major artists to the studio proved difficult. 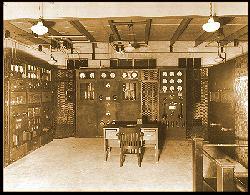 Hence, early in 1924 WBZ decided to build studios in Boston itself, and originate parts of each day's programming there. 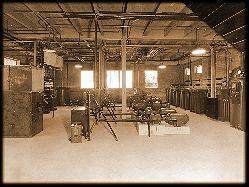 In order to better reach the larger city, Westinghouse built WBZA in Boston in August of 1925. The intention was to broadcast the same program over the whole state, with the transmitters synchronized to prevent mutual interference. Unfortunately, until the invention of the crystal controlled transmitter, this turned out to be a technical nightmare, with WBZ and WBZA interfering with each other, whistling and humming over Boston. The engineers moved WBZA back and forth between 900 and 1240 trying to alleviate the problems, but achieved only very short term successes. Eventually, in June 1926, synchronicity was finally accomplished. 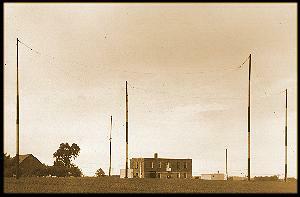 In 1931, WBZ received approval to swap cities with WBZA and install a 50,000 watt transmitter at Millis, near Boston. 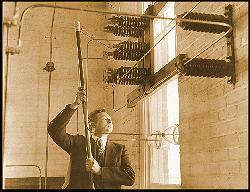 Full power was achieved in late 1933. There was even an application for "superpower" operation at 500 kW in 1937, but the FCC was not in the mood, so the application was withdrawn. With the purchase of CBS by Westinghouse, WBZ became a CBS affiliate and still serves the greater Boston MA. area on 1030 kHz.